The benefits of AFS membership include both education and networking opportunities. 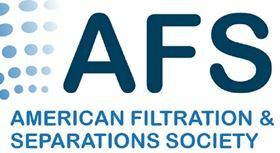 The American Filtration & Separations Society (AFS) is encouraging those who work in the industry and those in academia to become members of the AFS and enjoy all the benefits that brings. The AFS is an educational, non-profit organisation that provides a forum for networking and the exchange of technical knowledge within academia and industry in all areas of filtration and separation. AFS members includes end users, marketing managers, technicians and engineers, research scientists, raw material designers, strategy directors, consultants, and academics. The benefits of membership include both education and networking opportunities. The AFS hosts two conferences each year. AFS FiltCon in the spring is broad in nature and offers four themes within Applications and Technology. The Fall Conference is more topic focused. There is also a selection of short courses on the Monday which precedes each conference. These take place in a small classroom setting and are designed to give participants a deeper understanding of the topic. AFS members receive significant discounts on both the short courses and the AFS conferences. There is the option of individual or corporate membership. You can find out more about AFS membership and the work of the AFS here. American Filtration and Separations Society's fall conference.